Your grain bin is a significant investment. In order to protect that investment, you need to ensure its anchor system can withstand environmental conditions. When your bin bolts rust, break, or leak, the outside weather conditions can seep into your grain bin and damage your product. Thousands of pounds of grain can be wasted and unsellable, which can cause you to lose out on a significant amount of money. 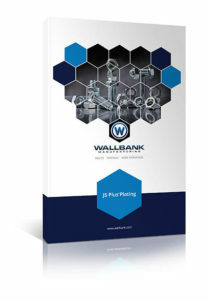 Our whitepaper, JS Plus™ Plating, will examine how Bolts Unlimited is providing a new plating option that significantly increases the plating lifespan. Fill out the form on the right and download our whitepaper, JS Plus™ Plating. Find out how your agriculture business can save time and money with a superior plating option.